Thank you to all the volunteers who participated in our Paint Party at Rancho Market and Deli. The community grocer is the only store that does not sell alcohol in the neighborhood, and it’s along the Safe Routes to School Route. The paint party was a huge success! 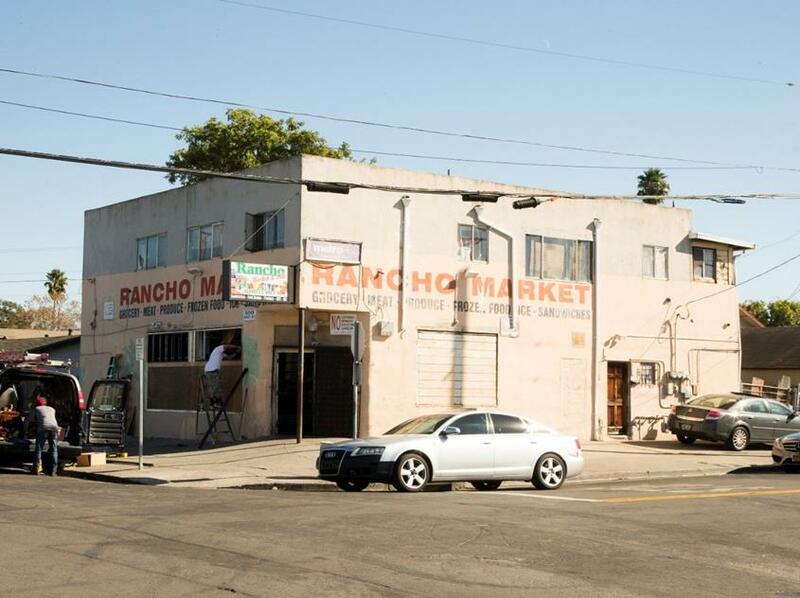 We had over 30 volunteers help paint and clean the streets.Over 100 residents attended the Rancho Mural Ribbon Cutting and Celebration in May. 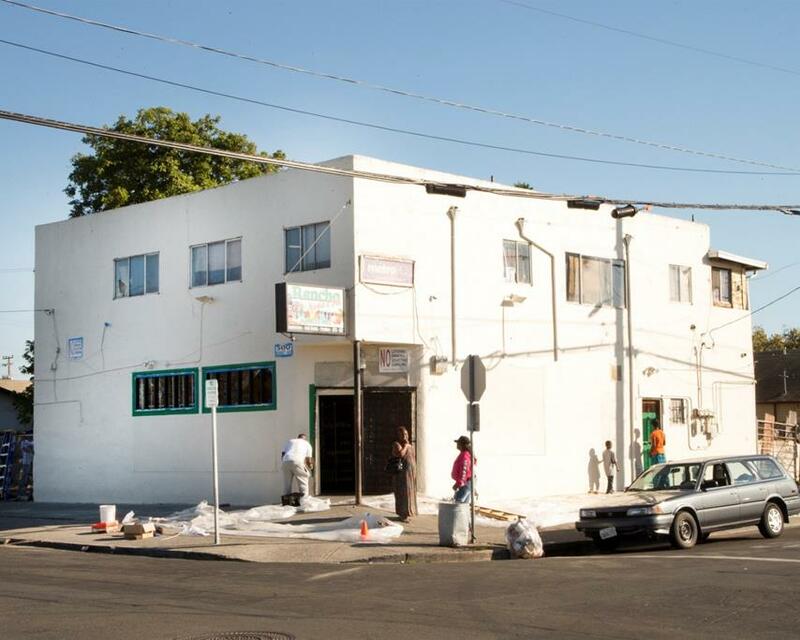 North Richmond residents helped with the visioning, and painting of the mural. 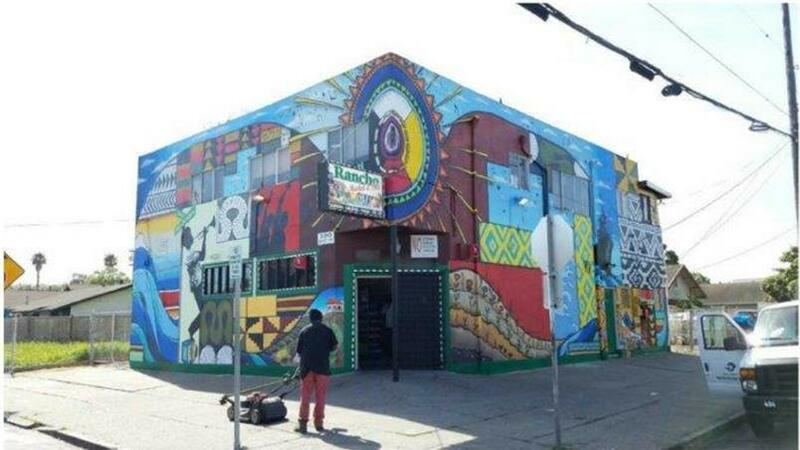 Love Your Block, lead artist Richard Muro, mural apprentices, Supervisor John Gioia's office, and many other partners were pivotal to the success of this community project. Funding was provided by the City of Richmond Arts and Culture Commission. Lots of Love in North Richmond! 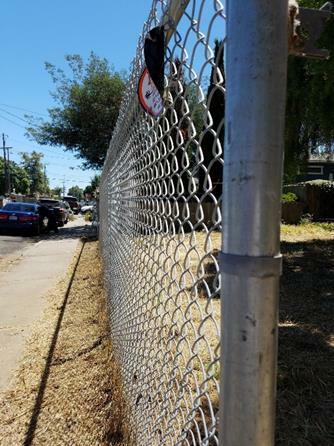 During the last two weeks of June, Love North Richmond (a Love Your Block partner program jointly funded by the City of Richmond and Contra Costa County) completed 5 community beautification projects at 301 Verde Ave, 429 Verde Ave, 648-649 Giaramita St, 1835-1839 4th St, and 308 Market Ave. These projects were led by resident leaders Clarence Gilbert, Ziana James, Karen Garcia, and Driscoll Allen. Over the course of the two weeks, over 90 volunteers joined us to collect 133 bags of trash and green waste weighing almost 7,000 pounds. 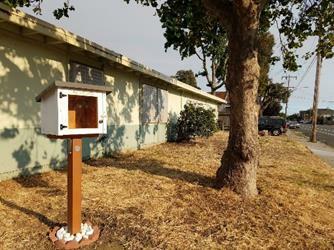 One new Little Free Library was also installed at the corner of Fred Jackson Way and Market Ave - swing by and grab yourself some books! 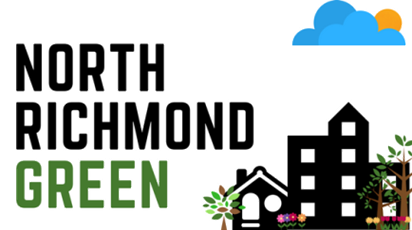 Help us #LoveYourBlock and #LoveNorthRichmond by keeping it clean! The block ambassadors work hard to keep the streets clean for everyone, but especially for the children of North Richmond. The adopted blocks are travelled daily by students from Verde Elementary School as they walk to the Shields-Reid Center’s after school program. 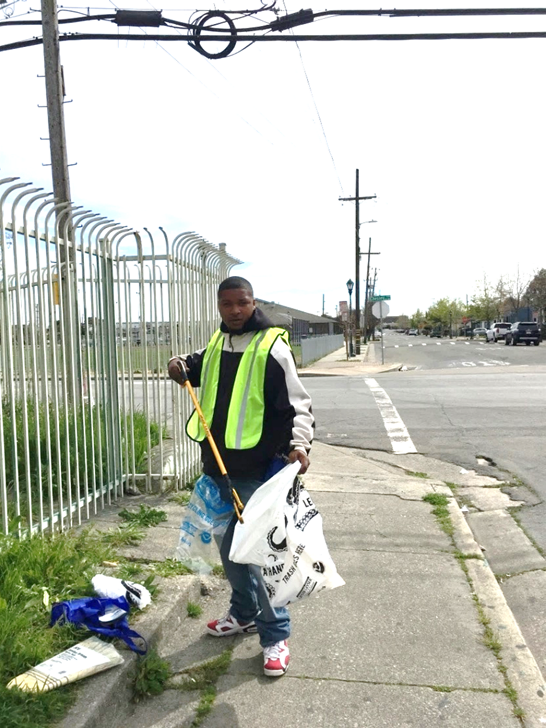 Block ambassadors also help guide children in neighborhood cleanups organized by Neighborhood House. We are hiring! If you are interested in joining the team of Block Ambassadors, please contact Paula White @ 510-776-3220 (English speakers) or Eren Samano @ 510) 776-3220 (Spanish speakers). 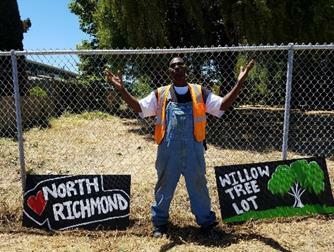 The North Richmond Farm is a 3 acre urban farm on the corner of Fred Jackson Way and Brookside Drive is an Urban Tilth project. 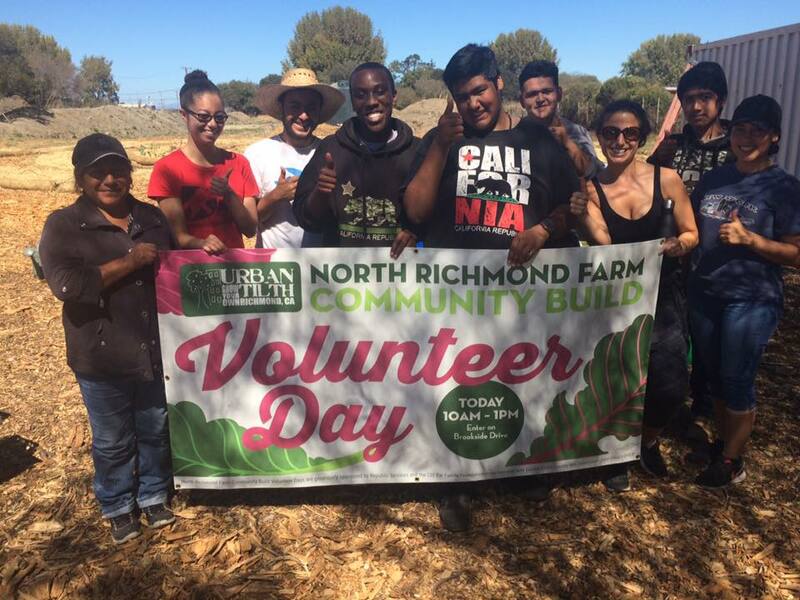 Urban Tilth host monthly community building days, special events, workshops, and more! 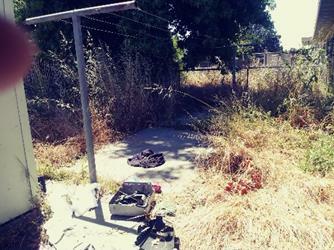 Get involved and learn about the big plans for this site, which includes but is not limited to farm stand and café. Visit www.urbantilth.org for more information. 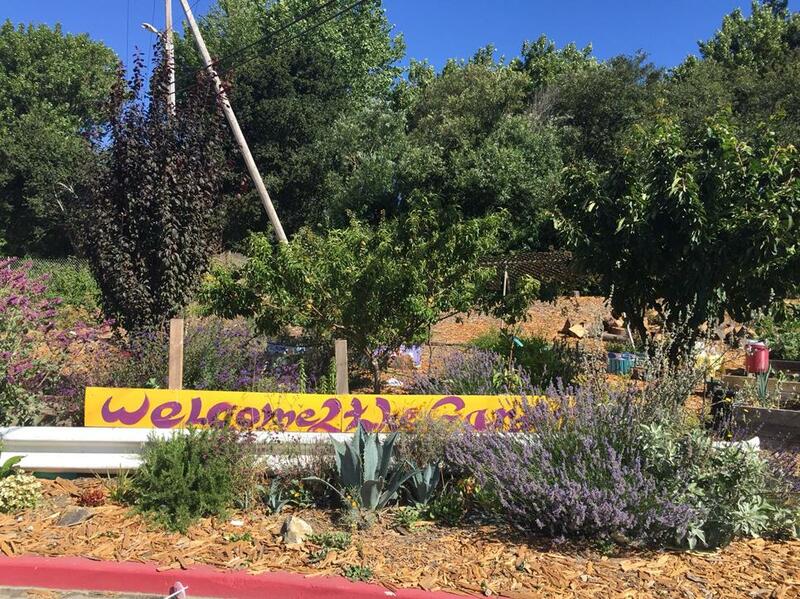 The 1st Street Garden is an Urban Tilth project that started in 2014. 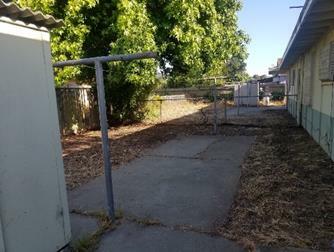 The lot at the dead end of 1st Street along the creek was once a playground. After the economic recession the playground was never repaired or built again. 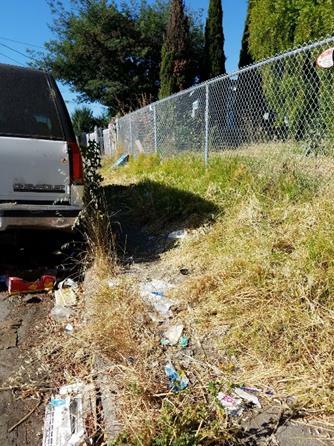 As a result, the lot became a magnet for illegal dumping and garbage. The lot is now a beautiful garden that host monthly volunteer events. It is visited by neighbors daily. North Richmond is a food desert, and with limited food options the garden provides fresh produce in one of the most impacted communities in Richmond. Join a volunteer event and learn about the vegetables, fruit, and herbs growing in your neighborhood. The fenceless garden allows access all day.